Navarra export catalogue - Zorpack, S.L. 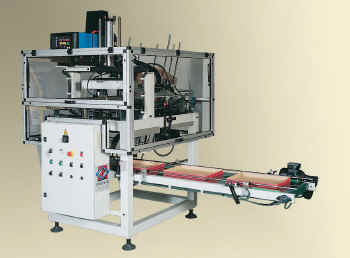 We are manufacturers of automatic machinery for packing using heat-shrink film. 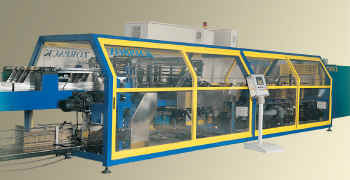 These machines have the particular, characteristic that they are not mass produced but made to order, in accordance with the customer´s product requirements, although at no additional charge. - Manual machines: in which you position the product in the machine and must manually move the pusher, the rest of the process in performed automatically. - Semi-automatic machines: the product is placed in the machine and the pushing cylinder is activated by means of a pushbutton switch, the rest of the process is performed automatically. - Automatic machines: the machine operates automatically. - With side sealed joints: in order to achieve an airtight seal for the product packed in heat shrink film. The entire process is performed automatically. - Lines with an envelope system (with no welded joints): to achieve high production rates. We cover an extensive market, and have much experience in the mineral water and soft drink sector, the canned food sector as well as with furniture companies and carpentries. We have sold machinery all over Spain and abroad: Portugal, France, England, Morocco, Gabon, Tangiers, Algeria, Mexico. If you wish, and no commitment, we could send you an estimate to cover your particular requirements. For this, we would need to know the product´s dimensions and characteristics, the grouping required, production, degree of automation, and any other information you may consider necessary.